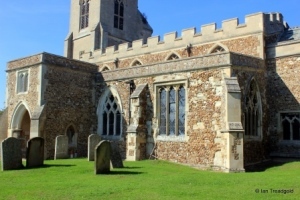 The church of St Mary Magdalene in Dunton is situated to the south-east of the main crossroads in the centre of the village which is to the east of Biggleswade. Parking is available on the High Street and pedestrian access is available from both Church Street to the north and Chapel Street to the south. 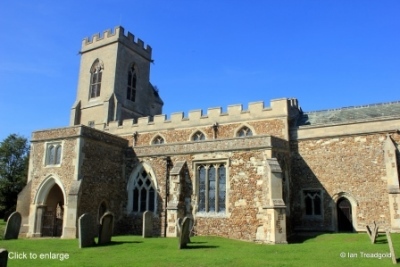 The church has a chancel of 37 feet by 18 feet, a nave of around 50 feet by 21 feet with two aisles; the north being about 11 feet wide and the south 14 feet. The west tower is about 15 feet square and 60 feet tall. 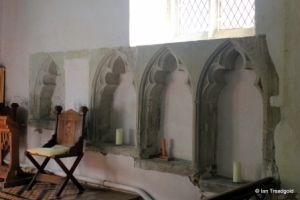 The south aisle has two windows to the south and windows to the east and west. 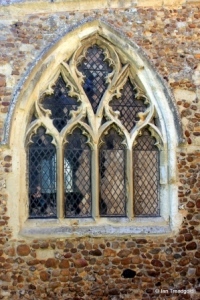 The east window of the south aisle is of four cinquefoiled lights with curvilinear tracery above with two soufflet quatrefoils and a dagger soufflet at the top under a pointed arch. 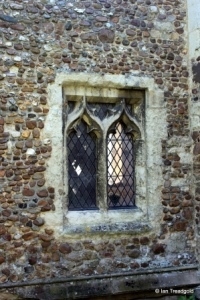 The tracery in this window dominates the window as the lights themselves are short relative to the window height. 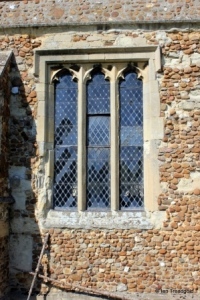 The window holds a few fragments of old stained glass clearly collected from other windows. 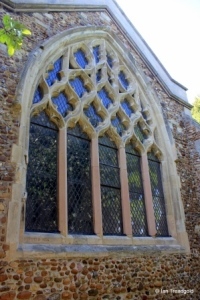 The two south facing windows are a three-light trefoiled window under a square head to the east and a three-light trefoiled window with quatrefoil tracery under a pointed arch. This window is in quite a poor state of repair. 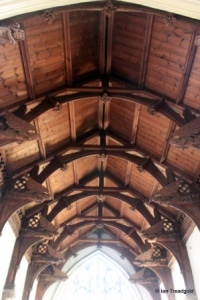 The upper portion of the porch was removed during C19 restorations leaving a flat roof to replace the earlier gable roof. 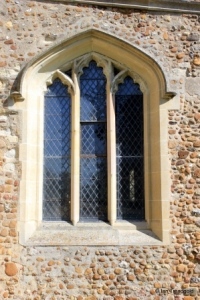 There are small single light windows to the east and west and the parvise above has a modern two-light cinquefoiled window under a square head. 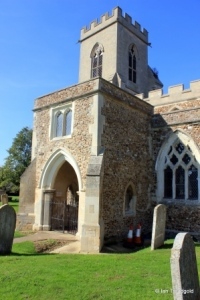 The parvise is reached by a stair turret in the south-west angle of the porch accessed from inside. The west window of the south aisle is of three lights with cinquefoiled tracery under a four-centred arch above. 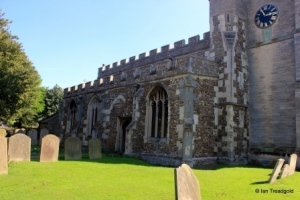 The south aisle has a plain parapet whilst the nave, north aisle and tower all have embattlements. The clerestory has four windows on each side. 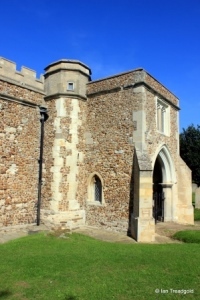 The original west tower fell in the mid C17 and was replaced initially with a tower with a small pyramid spire during the early C18. 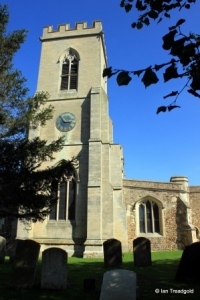 The current tower is modern dating from restorations made in 1861. 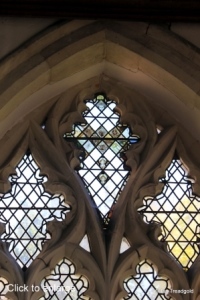 The west window is of three trefoiled lights with quatrefoil tracery under a pointed arch. 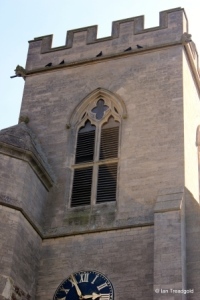 The belfry openings are of two trefoiled lights with a single quatrefoil above under a pointed arch. 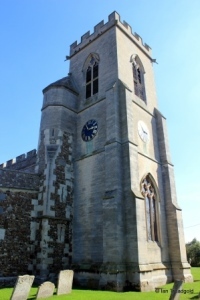 There are clock faces to the north and west and a stair turret reaching to the belfry in the north-east angle of the tower. 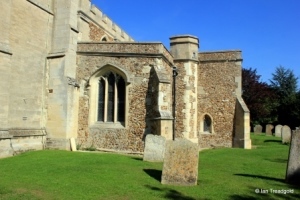 The north aisle has three windows surrounding the north doorway with a further window to the east. 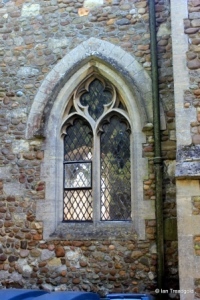 These four windows are all similar in style being of three cinquefoiled lights under four-centred heads with perpendicular tracery above. 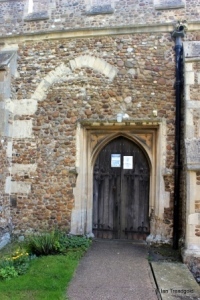 The north doorway is a pointed arch under a square head with spandrels above. Above the doorway is what appears to the remains of an earlier window arch. 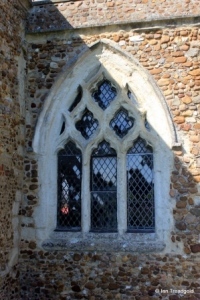 The north side of the chancel has two windows; a small two-light trefoiled window with ogee arches in the lights under a square head. 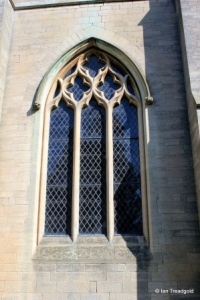 The eastern window is a modern two-light cinquefoiled window with a large quatrefoil design above under a pointed arch. 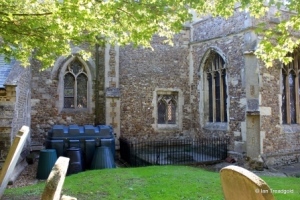 The vestry was added to the north side of the chancel in the 1861 restoration works and has a modern east window which matches the western window of the chancel. The east window is of five trefoiled lights dating from the mid C14 with net tracery above under a pointed arch. The mullions are modern having been restored in 1936. 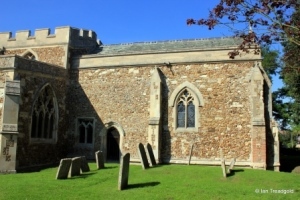 The south side of the chancel has two windows, the eastern being modern with two trefoiled lights with tracery above under a pointed arch. 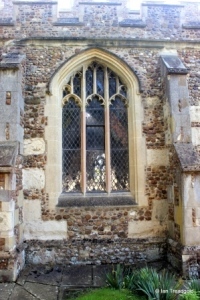 The western window matches that on the north side of the chancel. 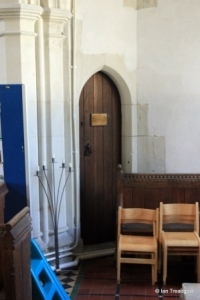 The priest's door is between the two windows. 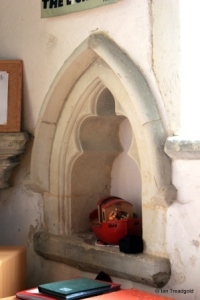 In the south aisle there is a piscina recess which implies that there was once an altar in this aisle. The main altar has a piscina and three sedilia all with cinquefoiled heads. 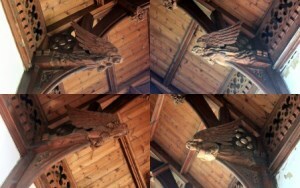 The roof has an impressive array of carved wooden angels. 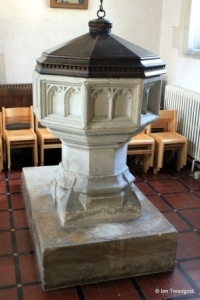 The octagonal font is at the western end of the north aisle. Page last changed 10/09/2014. Reformatted 30/01/2016.